A Product manager tasked to lead and manage her team while still providing product management capabilities; that was my position when I was selected to be part of the product mentorship program and paired with Amanda Ralph, my new mentor. Amanda had 18 years of product management experience and was able to clearly foresee the obstacles I might encounter in my new role. We started by defining the objectives I wanted to achieve over the course of my 6 months in the product mentor program, an important exercise at the beginning of any mentor partnership. I identified with my mentor Amanda, the areas that I needed to support in order to still deliver product management capabilities not only as a product manager but as a team; a team which I now lead. Indeed the role of a product leader is different to that of a product manager. A product leader not only has to manage products but also to guide and direct the overall product strategy and team, and ensure that products are delivered to market. If you are stepping in a new role involving more responsibilities you will find in this article 3 essential points to consider for a smoother career transition. When thinking about my new role and what needs to be delivered, I establish that the team needs to be restructured in order to better align and deliver products to market and, to enable me to consolidate my new role as both product manager and people leader. In addition to restructuring the team I also need to focus on empowering and enabling my team to take greater ownership and accountability for managing and delivering the products. 1/ Draw a mind map of all the product management capabilities that I am delivering as a product manager and identify the ones that can be transferred to the team. 2/ Assess the capabilities of the team by meeting every team member individually to understand both their capabilities and aspirations. In these meetings, I try to understand the current challenges each individual faces and how they can grow in this team. 3/ Do a matrix of skills to map team member skills and identify development opportunities. Identify both formal training opportunities and projects which give team members the chance to apply newly acquired skills in their day-to-day activities and develop their role. With less time on hand, it is important to develop procedures with the team that will fast track collaboration and delivery. Ensure that the communication between designers, developers and producers is optimal. The Scrum ceremonies (Sprint planning, Standups, etc.) and kick-off meetings of a new project are a good way to ensure that. Holding regular Agile retrospectives can be very useful in this regard and allow a safer communication to happen within the team. At the end of the day, your job is to ship the right product to the users. I encourage then the team to have a greater understanding of the users. This can be done for example by involving the developers and product owners in the user research, the wireframes assessment and the usability testing sessions. A new leadership role is also a good opportunity to assess and evaluate whether you have the right skill sets and resource capacity in your team. It is impractical to continue to do your old role as well as lead the team. So you need to assess whether there are opportunities within the team for individuals to step up and take on more responsibility or whether you need to bring additional resources into the team. By taking on more responsibilities, I need to demonstrate leadership and gain the confidence and trust of my stakeholders. The product manager is the link between the internal/external stakeholders and the team. Identify your stakeholders, analyse and engage with them effectively by using the power grid by Roman Pichler, which Amanda shared with me. This is a relative quick exercise and the matrix can be adjusted over time. With this matrix set, I can then for each product save time by inviting the right people to the discussion. To ensure ongoing and active collaboration with stakeholders, it is important that procedures are defined and created together. For this, I define with my team the areas that can be improved, for example, handling Business As Usual requests which can be a source of frustration if they are not handled properly. We start by drafting the ideal process with the producers and then refine them with key stakeholders’ input. At the end, we map a process that everyone can agree on. We implement then this procedure and iterate on it if necessary. Product management can be quite a new thing for businesses, especially technical product management. Some colleagues can be confused on what to expect from a technical product manager. “Brown Bag” lunches can be a useful tactic to engage stakeholders and the wider business. They provide an opportunity to share your knowledge on product management capabilities (product planning, product strategy, UX lean methodology, product roadmap, etc.). This provides more clarity to stakeholders about what product management is, and where and how their expertise will be needed in the product development lifecycle. When taking on more responsibilities, it is also important to review your current productivity. You need to constantly assess your physical, emotional and mental energy to be able to deliver against requirements without reaching the burnout. I start every week by listing what I need to achieve. Throughout the day I use the Pomodoro technique to keep myself focused. One tip from Amanda is to block your calendar for 2 hours every day, especially in the morning where you know that you can achieve important tasks and let stakeholders invite you to meetings in the afternoon. Meetings don’t need to be conducted all the time in a meeting room. A walking meeting can be a good way to engage with stakeholders and keep their attention on the subject. Setting time aside for yourself remains a critical part of the process. To keep balance I try to always do at least one physical activity per week. We also gather with a few colleagues to practice 10 to 15 minutes of guided meditation after lunch. Mindfulness increases focus, improves our ability to reduce stress, enhances clarity of mind and leadership effectiveness. The Search Inside yourself book provides a great practical introduction to mindful leadership. Hopefully this list of tips will help you to find your way to transition from a Product Manager to a Product Leader and manage the balance of ‘doing’ (developing and shipping products) and ‘leading’ (day to day people and product portfolio leadership). Starting as a web developer, Lamia’s journey through the digital space has come full circle, from managing large scale websites to coaching teams to adopt a more efficient product development with Scrum, and now in the education space with a particular emphasis on lean product management. 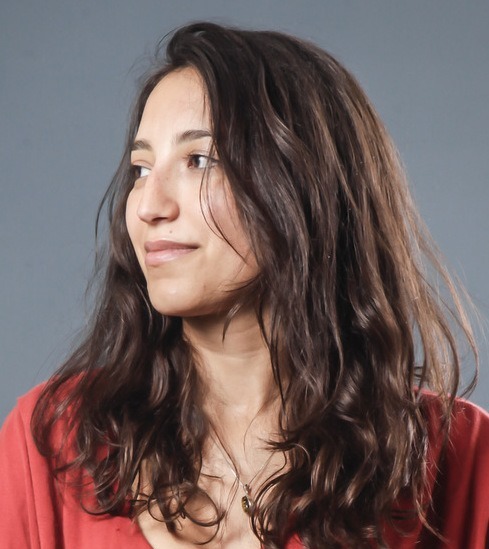 Lamia has also worked in a variety of contexts such as global organisations, startups, NGOs and is now the head of digital product for higher education provider Laureate Australia, bringing a UX focus to all digital sides of the business.